Our Fellows are leaders in the world of social innovation, funneling their insights and wisdom into speaking engagements for our classes. Tristan Ace leads the British Council’s Social Enterprise programme across Asia, where he is based in Hong Kong, prior to that he spent one year in Beijing and 4 years in Myanmar. The British Council’s social enterprise programme operates in 12 countries in Asia and delivers a range of support from capacity building to government advisory. Tristan has led on developing this strategy and worked with a range of senior stakeholder across the region, including the Myanmar government to deliver the first social enterprise policy dialogue with the Ministry of National Planning in 2014, the Thai government’s strategy on social investment and in Bangladesh he has recently been developing in initiative on social investment with senior stakeholders from the Bangladesh Central Bank. 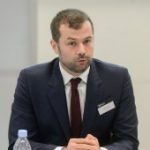 In addition Tristan has developed the British Council’s capacity building programme across Asia and been leading on the recently launched Business and Investment Readiness programme. Before moving to Asia, Tristan spent five years in Central and Eastern Europe. Overall Tristan has worked in over 20 countries in Europe, Asia and Africa and most recently has launched the British Council’s social enterprise programme in Ghana, Kenya and Ethiopia. Philo Alto is the CEO of Asia Value Advisors (AVA), a leading philanthropy and leadership advisory firm based in Hong Kong that seeks to engage and inspire individuals and organizations to create sustainable impact. He previously co-authored two publications: “Mind the Gap: Lessons and Findings from EngageHK” and “Adopting the London Principles: Policy Considerations to Grow Impact Investing in Hong Kong”. He also convened a Foundation Philanthropy Roundtable in Hong Kong bringing together foundation leaders to explore the future in creating sustainable value. His firm has been engaged by the Hong Kong Jockey Club Charities Trust to lead the program curation for its international Philanthropy for Better Cities forum in September 2016. Philo received his MBA and MPA at Harvard Business School and Harvard Kennedy School. He is a board director of the Harvard Club of Hong Kong and an officer of the HBS Association of Hong Kong. Rachel started her career at Fidelity in 2006 as an equity research analyst in the London office, specialising in mining and steelmaking. After a short career break, she returned in 2012 as the Asia Grants Manager for the Fidelity International Foundation, based in Hong Kong. Rachel is responsible for Fidelity’s strategic grant making programme in seven countries across Asia, focusing on non-profits working in education, health, community development and arts and culture. Prior to joining Fidelity, Rachel held a number of finance roles in companies including Anglo American and Novartis. She is a Chartered Accountant and has a masters degree in history from the University of Cambridge. Karen was formerly the Director of Development at Teach for China, responsible for building and leading the Hong Kong Development team and working closely with Board of Directors and CEO to execute strategy and build the portfolio of supporter. Prior to joining Teach for China, Karen was the Head of Account Management at Teach First, led the account management strategy, devising and implementing the long and short-term vision of the External Relations team. 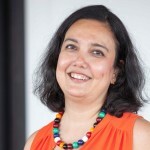 Naina Subberwal Batra is the CEO of Asian Venture Philanthropy Network (AVPN). AVPN is a unique funders’ network committed to building a vibrant and high impact philanthropy and social investment community across Asia. AVPN’s mission is to catalyse the movement from traditional philanthropy to social investing for a more strategic, collaborative and outcome focused approach to addressing key social challenges facing Asia. Naina’s past experience of over 20 years includes being part of the senior leadership team at Monitor Inclusive Markets, a mission driven consulting unit of the Monitor Group that aimed at catalyzing market based solutions for social change. 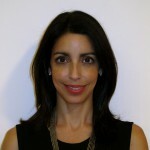 In addition she has worked in organizations such as KPMG and Citibank. Naina has a master’s degree in Industrial and Labor Relations from Cornell University where she graduated at the top of her class. She also holds a bachelor degree in Economics and International Relations from Mount Holyoke College, Massachusetts, USA and a General Course Diploma in economics from The London School of Economics. Arnold is the founder and CEO of Teach4HK, a non-profit organization that trains exemplary university graduates to teach at Hong Kong’s underprivileged schools for one year. 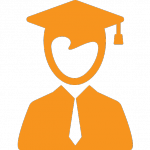 By 2017, Teach4HK has recruited 41 graduates as teaching fellows and served over 2,000 students. He has raised over US$1million to support the future development of the organization. He won the Asia Society’s Asia 21 Young Leaders Award and Hong Kong Federation of Youth Groups’ Hong Kong Youth Service Award in 2016. Arnold earned 10 distinctions in the Hong Kong Certificate of Education Examination in 2006. He holds a BBA in Global Business Studies from the Chinese University of Hong Kong and a MBA from Harvard Business School. Before studying at Harvard, he worked as Institutional Sales in Goldman Sachs, covering the Greater China’s institutional clients. During his tenure with Goldman Sachs, he organized workshops with NGOs to serve primary and secondary school students. He was also a volunteer of Teach for China and helped to plan their fundraising strategies. Dominic is a frequent speaker at conferences, business seminars and university lectures. He is also a corporate trainer, executive coach and visiting lecturer. He is the recipient of the Queen’s Gold Medal for mathematics presented by Queen Elizabeth II. Dominic studied engineering at the University of Cambridge, United Kingdom, graduated with BA, MA and PhD (Digital Signal Processing) degrees. Dominic is the author of the book “My Cambridge Days”. He is fluent in English, Mandarin and Cantonese, and speaks basic French and Japanese. Mark Cheng is founder and Executive Director of Chelwood Capital, an advisory firm which works with social enterprises seeking to access the capital markets. He is also the CEO of Ashoka Europe, the global network of leading social innovators. He has over 15 years’ experience in corporate and development finance, and has helped raise investment for many leading social entrepreneurs in fields including micro-finance, health and renewable energy. Mark is a founding member of the Clearly Social Angels network in the UK, which provides early stage seed capital to social businesses, and a senior program advisor and Director of the Emerge Venture Lab, a leading incubator of UK education / technology start-ups. He also holds board positions and advises a number of non-profit organisations, including LIFEbeat, a UK youth charity. Mark graduated from Exeter College, Oxford University with a first class BA Honours degree in Politics, Philosophy and Economics, followed by post-graduate studies at the School of Oriental and African Studies (SOAS) in London. He has since lived and worked in Tokyo, Beijing, Hong Kong, and London, where he is now based. 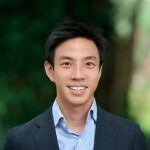 Kelvin is the CEO of UnLtd, a seed stage incubator for social innovators in Hong Kong. Started in 2014, UnLtd HK is inspired by the model of UnLtd UK, where they have supported over 14,000 entrepreneurs in the last 12 years. In addition, he is the COO of the GoodLab, Hong Kong’s first co-working space dedicated to social innovation. Prior to his work in social innovation in Hong Kong, Kelvin started and ran FoodCycle, a food surplus charity in the UK which is now a network of 1,400 volunteers in 20 hubs across the country. Kelvin’s secret third job is a spin instructor in a local spin studio. His leisure activities including cycling, cooking and hiking. Patrick Cheung looks back on a successful career in the corporate world over two decades. He built his own multimillion-dollar business which he sold in 2006 to devote all his resources, experience, time and effort to find ways to make a better world. 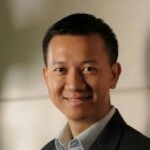 He is the founding director of HK Social Entrepreneurship Forum and is also the Chairman of Dialogue in the Dark HK. From 2008-2010 Patrick served as the Interim Ashoka China Representative on a pro-bono basis to kick start its China operations. A trained Industrial Engineer, Patrick also received management training at Harvard and INSEAD. He has a master degree in International Relations and Public Affairs. Scot Frank is the co-founder and CEO of One Earth Designs. Scot received Bachelor’s degrees in Electrical Engineering and Computer Science from MIT. He holds three patents: one for a novel breast cancer diagnostic tool and two for solar energy. His background includes founding three companies, working in IBM’s India Research Laboratory, leading MIT Development Lab’s China program, and advising renewable energy projects for the Clinton Global Initiative and Richard Branson’s Carbon War Room. Scot has been listed by Forbes as a 30 under 30 entrepreneur, and named an Unreasonable Fellow, Cordes Fellow, ECSEL Fellow, and Make a Difference Venture Fellow. Since childhood, Scot has had a deep passion for using technology to drive social and environmental change. He started his first company when he was in middle school. Today, he seeks out every opportunity to learn more about the world and build empathy between people. With One Earth Designs, he aims to change the way people around the world use energy. Scot currently working as the Product Manager at Google. James is currently the CIO Head of Impact Investing at UBS Wealth Management, working with ultra high net worth clients, advisors and investment product teams to develop and deploy impact investments at scale.Prior to joining UBS, James was the founding executive director of United Nation’s Principles for Responsible Investing and former head of impact at TAU Investments as its senior impact investing strategist. Karola os the co-founder of Twopresents. Prior to Twopresents, she worked in banking for ABN Amro and for International Finance Corporation/World Bank Group. Meredith Karazin is the co-founder and former Managing Director of LearnLab 光合空间, an education-tech accelerator, hub, and seed fund in China, that brings together the best in education and business to help entrepreneurs transform and improve education for all learners. LearnLab’s accelerator is a four-month program that will provide entrepreneurs with testing and distribution partnerships, mentorship, talent, and funding to help accelerate their success. In addition, LearnLab provides educational and startup-focused events and learning experiences open to the general public. Former strategy consultant, independently and at The Bridgespan Group (a spin-off of Bain & Company). Consulted to the Bill & Melinda Gates Foundation, high-performing charter schools, national educational networks, and local children and family services organizations. Initially, out of college, was a social entrepreneur, starting and running a social impact documentary filmmaking organization. Also worked at a community-based educational organization. Meredith graduated with her BA from Washington University in St. Louis. She recently received a certificate from Stanford University for completion of Stanford University and 500 Startups’ Insider’s Guide to Silicon Valley Investing program. Ilex founded iEnterprise in 2012 leveraging his over 25 years of professional experience investment arena and his research interest in “Doing Well and Doing Good”. Ilex has been invited as speakers to share his views on social innovation and entrepreneurship development in different seminars and conferences and interacts with young social entrepreneurs through workshops or advisory role. 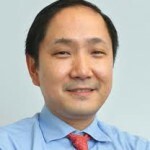 He is also the Organizing Committee Member of Social Enterprise Summit 2018, Director of CareER , Non-Profit Scholarship Committee Member of Harvard Business School Association Hong Kong, former Chairman of Social Enterprise Steering Committee of Hong Kong Rehabilitation Power, Advisor to Teen Future Association and Shared Good Value HK. Mrs Patricia Lau is the Deputy Head of the Efficiency Unit which is a change agent and catalyst for improving the management and delivery of public services. 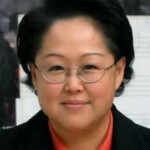 Mrs Lau has over 25 years of experience in general management and IT consulting. She joined the Government in 2007 and is responsible for leading initiatives regarding social innovation, citizen-centric services and shared services. She also oversees programmes covering e-services, business process re-engineering, human resources management, outsourcing and management reviews. Since 2013, Mrs Lau has been leading the Secretariat in support of the newly established Social Innovation and Entrepreneurship Development Fund (SIE Fund) Task Force under the Commission on Poverty. Together with the Task Force, Mrs Lau has reached out to many non-government organisations, family or corporate foundations and business executives who share similar aspirations in tackling poverty related issues in Hong Kong. She advocates multi-disciplinary and cross sector collaborations in solving social issues. Prior to joining the Government, Mrs Lau was the Managing Consultant and Head of Public Sector in PA Consulting Group and before that, a Director in PwC Consulting. Freddy is the founder and chairman of ICE. His idea of empowering local ethnic minority in becoming intercultural trainers for education has won the champion of Hong Kong Social Enterprise Challenge 2010 and PolyU Micro Fund for Entrepreneurship 2013. Freddy was recognised for the Young Social Entrepreneur Award 2011 in Hong Kong and was selected as ECSEL fellow 2012 which brought him to exchange his insights with students and professionals from Harvard, Stanford and Yale University. Passionate in nurturing the ecosystem of social enterprise sector, he co-founded Social Investment Club (2010-2012) with nine other directors from business and social sectors. He also works part-time as an intrapreneur in Education for Good for young social entrepreneurship programmes in The University of Hong Kong and social enterprise start-up consulting projects with NGOs. 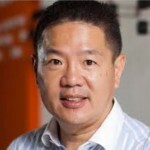 Freddy is also a columnist who writes about social innovators for the Hong Kong Economic Journal. Before he founded ICE, he worked in Google’s Asia Pacific Headquarter in Hyderabad, India. He graduated from The Hong Kong Polytechnic University and Zhejiang University with a degree in Communications and Management. En Lee co-heads LGT Venture Philanthropy in Asia, a global impact investor supporting financially-sustainable organisations generating outstanding social and environmental impact. Formerly, En led the Investor Team at Impact Investment Exchange Asia (IIX) where he closed several successful investments in education, renewable energy and inclusive finance. 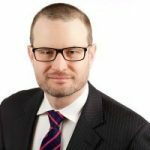 Prior to IIX, he was an Executive Director at Goldman Sachs and a Corporate Associate at Freshfields Bruckhaus Deringer. Pioneering impact investing across Asia, En serves on the Board of several award-winning social enterprises, mentors social ventures at HUB Singapore and is a Social-Entrepreneur-in-Residence at INSEAD. He is an engaged member of TONIIC, the global impact investor network, and sits on their Deal Selection Committee for South-East Asia. En also serves on the Steering Committee of the DBS-NUS Social Venture Challenge Asia, a pan-Asian social enterprise competition and he recently co-founded the 20/20 Social Impact Leaders Group to catalyse next generation philanthropic leadership in Asia. Eugenia is the former CEO of SOW (Asia) Foundation Limited (“SOW Asia”), a Hong Kong charitable foundation focused on venture philanthropy. SOW Asia’s aim is to support for-profit enterprises intent on scaling their social and/or environmental impact through financial investments and our accelerator program. Through this platform, the vision is to create an ecosystem in which local social businesses can grow, self-sustain and attract funding. SOW Asia is partnering with a number of organisations from the public, private, academia and NGO sectors, to support local social enterprises for early scale (follow-on funding). Eugenia brings to SOW Asia extensive advisory and consulting expertise accumulated from both the professional services and non-profit sectors. Prior to joining SOW Asia, Eugenia supported several non-profit organizations as well as social ventures in Hong Kong. Eugenia graduated from the London School of Economics and Political Science. She is also an ACA (ICAEW) and an Associate Member of the HKICPA. 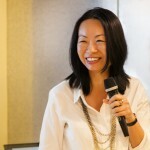 Elise joined Opportunity International Hong Kong in 2015 as the Executive Director of Opportunity International Hong Kong, where she is responsible for leading the Hong Kong development office of Opportunity. Her primary focus is fundraising for Opportunity’s work in China, and other countries where appropriate. Before joining Opportunity Elise was the Asia Regional Officer for EMpower- The Emerging Markets Foundation, a financial industry philanthropic organization that supports at-risk youth in emerging market countries. Elise earned a Bachelor of Arts degree in Economics from Columbia University in New York, and an MBA from China Europe International Business School in Shanghai. Charles Lor is the Global Leader for Evaluation and Analytics at International Finance Corporation, the private sector agency of the World Bank Group. Between 2011 and 2015, he built the impact measurement function of IFC in Asia. Today, he is tasked with connecting IFC, its sponsors, its clients through social insights that bring transformational change for customers, employees and supply chains. He has extensive experience in program design and partnership development with bilateral donors and private foundations. Prior to joining IFC, Charles worked for international NGOs and think tanks including the US Institute of Peace, Mercy Corps and International Rescue Committee. He has lived and conducted field missions in DR Congo, Ethiopia, Somalia, Niger, Central African Republic, Sri Lanka, and Nepal, covering a wide range of sectors from humanitarian demining to primary healthcare. He was a member of International Medical Corps’ 2010 Haiti Earthquake Emergency Response team. He has a bachelor in economics and politics from the University of Montreal and a master’s degree in violence, conflict and development from SOAS, University of London. 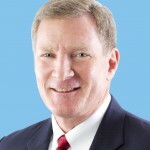 Tom Mehrmann is the Chief Executive of Ocean Park Corporation, Hong Kong’s sea-life and animal theme park, which hosted over 7 million visitors in 2013. Since joining Ocean Park in 2004, he has directed the activities of the park to achieve successive years of record attendance, revenue and surpluses in the Park’s history, while leading the effort of defining the Master Redevelopment Plan for the future Ocean Park. Tom has seen the park at its worst, with just HK$100 million free cash to hand – enough to run it for two to three months. When he walked into the job in 2004, the park had just 3.7 million visitors. In the SE&VP class, he shared how he turned the Park around, strengthened its conservation and education missions, and grew the organization to become a world class tourist attraction. Highlighting the growth and evolution of Ocean Park under Mr. Mehrmann’s direction, Forbes.com in 2006 named the Park as one of the “10 most popular theme parks in the world”. In 2007, Forbes Traveler also named Ocean Park as one of the “Top 50 Most Visited Tourist Attractions in the World”. 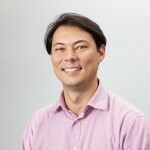 Francis Ngai is the founder and CEO of Social Ventures Hong Kong the first non-profit venture philanthropy organization dedicated to support and nature social innovation in Hong Kong since 2007. Portfolio social enterprises include Diamond Cab, Dialogue in the Dark, Concert in the Dark, Green Monday, LightBe affordable housing, and Playtao Education etc. Prior to this, Francis was Head of Strategy in a listed technology conglomerate. He is now also a visiting lecturer at university, a column writer, member of a few government advisory bodies and board member of Asia Venture Philanthropy Network. As a running veteran, he finished North Pole Marathon 2013 and an ultra-marathon challenge of 250km race at Gobi desert in 2012. He obtained a bachelor degree from City University of Hong Kong and was awarded as honorary Fellow in 2013. 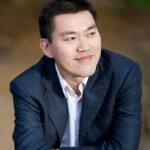 He was selected as Ten Outstanding Young Persons Hong Kong 2011 and Young Global Leader of World Economic Forum 2012. Aasha Pai is currently Strategic Projects Advisor for Marie Stopes International, a family planning social enterprise, where she has worked for the last 13 years. She has over 20 years of experience in non-profit and social enterprise programming and management with a focus on public health and women’s empowerment. 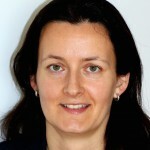 Her expertise is in strategy and organisational development, project design/management, team leadership, and fundraising. Aasha is on the board of two Hong Kong based non-profits: EMpower, the Emerging Markets Foundation, and Justice Centre Hong Kong. She also provides pro-bono consulting through Asian Charity Services. 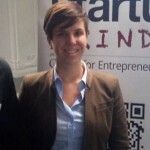 Catlin Powers is the co-founder and Chief Operating Officer of One Earth Designs. Catlin graduated from Wellesley College with a double major in chemistry and environmental studies before continuing on to graduate studies in environmental health at Harvard University. 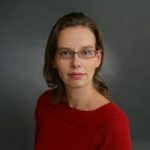 Her research has been recognized by the US National Science Foundation, Environmental Protection Agency, and the American Institute of Chemical Engineers. She is also the recipient of the Marry White Peterson Prize for innovation in the biological sciences and the Camilla Chandler Frost Prize for contributions in the field of environmental studies. Catlin has been involved in establishing solar power, hydropower, and biomass gasification systems in India and has consulted on environmental remediation projects in the US and China. She currently serves on the board of directors of the Pentok Institute for the Empowerment of Rural Women. Outside of work, Catlin is a black belt in Tae Kwon Do, plays the flute, and enjoys spending time outdoors. She also loves dancing, singing, and dressing up in goofy outfits. Gritt Richter is developing and managing grantee partnerships of EMpower in China, Indonesia, the Philippines and Vietnam, and provides technical support to grantee partners. Gritt has 15 years + experience in international development cooperation in Germany, France and Mali/West Africa with a professional focus on the promotion of child and youth rights. She has previously worked with Plan International France where she was Head of Programs and the German governmental cooperation agency GIZ, where she also spent three years as the Counselor for the Abandonment of Female Genital Mutilation (FGM) in Mali. As FGM-Coordinator with the pioneering German NGO TERRE DES FEMMES she published numerous articles in professional journals and a book on FGM. Throughout her professional career, Gritt has worked extensively with community-based organizations in Africa, Asia, Latin America and the Caribbean.She holds diploma in Business Management from German and French Universities and a Master’s Degree in International Humanitarian Assistance. 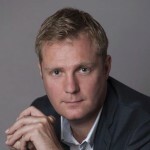 Simon Squibb is an angel investor & serial entrepreneur. He is the founder and chairman of Fluid, a creative agency. 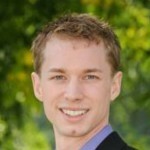 He is now the Chief Executive Officer of Nest Investments (www.nestideas.com) investing primarily in start up companies. Simon was a self made millionaire by the age of 23. As an angel investor for over 18 years, Simon is dedicated to bringing ideas to life and helping the next generation of entrepreneurs based in Hong Kong achieve their dreams. As founder of multi award-winning, globally respected creative agency, Fluid, Simon worked with an impressive list of clients and partner brands including Estée Lauder China, Fortune, CNN, Wall Street Journal Asia, Li & Fung, Citibank China and Starbucks. As CEO of Nest Investments, Simon leverages his extensive network and experience to mentor and develop Hong Kong based start-ups and entrepreneurs. Dr. K K Tse is the Founding Chair of Hong Kong Social Entrepreneurship Forum and the Founding Chair & Chief Education Officer of Education for Good CIC Ltd.
Dr. Tse has held senior executive positions in the Shui On Group for ten years before setting up his own management consulting company, K K Tse & Associates in 1992. 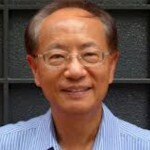 He retired early in 2000 and has been active in promoting social entrepreneurship in Hong Kong. 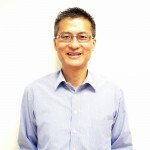 He is the first member of the Ashoka Support Network in Hong Kong since September, 2007. He is the Co-founder of a social enterprise, DiD (HK) Ltd., which brought Dialogue in the Dark to Hong Kong and China in 2008. Since 2010, Dr. Tse became a member of the Government-appointed Social Enterprise Advisory Committee. In the same year, Dr. Tse worked as the designer and facilitator of a six-month course Who Wants to be a Social Entrepreneur?, which was jointly offered by Hong Kong Social Entrepreneurship Forum and School for Professional and Continuous Education of the University of Hong Kong. Jean-Pierre Wack is Director of Corporate Development at Insight Robotics. He is responsible for fundraising and building long-term strategic partnerships that support new and innovative technology solutions to help industry quantify risk. He has seven years experience running a design consultancy advising real estate developers in the United Kingdom. Key projects include advising on the sustainable refurbishment of 400 acres of high-end residential buildings in London. JP has an MBA from the Hong Kong University of Science and Technology and a Masters in Economics from the University of Strasbourg. JP is an alumni of our Programme, having taken the course as an MBA student at HKUST in 2014. Ada Wong, JP, founded the Make A Difference (MaD) initiative (www.mad.asia), a continuing platform to groom the next generation of creative leaders and innovative changemakers in Asia. The events organized by MaD have been attended by over 10,000 young people from 170 cities in Asia. Ada’s latest social venture is The Good Lab (www.goodlab.hk), an inspiring co-working space and a collaborative community for social innovation in Hong Kong. Ada founded the Hong Kong Institute of Contemporary Culture (HKICC), a unique non-profit organization whose mission is creative education, youth empowerment and a creative civil society 15 years ago. Ada also actively participated in public service. She was an elected Urban Councillor, District Councillor and Chairperson of Wan Chai District Council. She is currently a member of the Consultation Panel of the West Kowloon Cultural District Authority, the Art Museum Advisory Panel, and a board member of the Hong Kong Shue Yan University and Hong Kong Design Centre respectively. Alfred was born in Canada but was fortunate enough to spend time both in Hong Kong and Canada. Having been born into a environmentally conscious family, recycling and sustainability has always been close to his heart. Alfred graduated from the University of British Columbia, majoring in Commerce with a focus on transportation and logistics. After coming back to Hong Kong, he entered the startup scene and helped to launch a financial technology company. Since joining HK Recycles, he has been overwhelmed with the amount of local and international support on their mission to reduce recyclable material from entering landfills. Alfred has a strong belief that HK Recycles can make a significant contribution to Hong Kong’s sustainability goals in recycling and waste management. Alfred is happily married and recently also became a proud new father, which has made him even more determined to do what he can to allow his son a cleaner and greener world to live in. Ada is currently the Executive Director at Urban Spring, a social purpose start-up whose mission is to reduce the consumption of single-use plastic in Hong Kong. She has recently founded 43 Ventures with 3 like-minded entrepreneurs who share the same commitment in supporting innovative start-ups. Prior to these recent ventures, Ada was the Program Director of the i2i (incubation to investment) program at SOW Asia. She is on the board of Hong Kong Institute of Social Impact Analysts, Education For Good (CIC) Limited and Teach4HK. Ada is also a member of the Advisory Committee at the Enhancing Self-Reliance Through District Partnership Programme under the Home Affairs Department of the Hong Kong Government, a mentor under the Mentoring Program for Women Leaders at The Women’s Foundation and the Hong Kong University Alumni Entrepreneur Club. Ada is dedicated to supporting the social entrepreneurship development in Hong Kong. Prior to joining the impact investing industry, Ada worked in a number of financial institutions in Toronto, Hong Kong and Tokyo. Ada earned a BSc in Economics from the London School of Economics. As one of the founding directors of SOW Asia for a few years, Demetrius had the desktop view of young companies that wanted to do good. He is now on the front line as the Director of Programs in helping these young companies directly to grow with the hope that they will continue to make positive impacts to the society in the years to come. He does this by bringing his experience in fundraising, entrepreneurship, board directorship, non-profit, restructuring and mergers and acquisitions from various organisations such as start-ups, investment banks, private equities, international and listed corporations. Demetrius graduated from Boston University, the University of Southern California and the Ivey Business School at the Western University, Canada in various degrees and program. 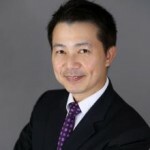 Chen is an experienced banker with over a decade of experience across various research and risk functions in the banking industry. She covered APAC Country Risk and Credit Risk management at JPMorgan for a number of sectors, including technology, education, insurance and shipping. She was a fixed income banking analyst at Morgan Stanley, and a real estate equity analyst at CICC. 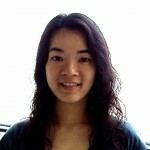 Prior to her financial career, Chen worked as marketing executive at the China-Singapore Suzhou Industrial Park, where she gained FDI related experience. Chen holds LL.B. from School of International Relations and Public Affairs, Fudan University, and M.A. from School of Advanced International Studies, Johns Hopkins University. She has also studied in Nagoya University focusing on Japan studies and International Development.